The Five Dancing Princesses is an original full-length ballet and Ballet Chelsea’s Artistic Director Wendi DuBois’ light-hearted interpretation of the Grimm Brothers’ tale, The Twelve Dancing Princesses, set to music by Wolfgang Amadeus Mozart, performed live by the Jackson Symphony Orchestra. 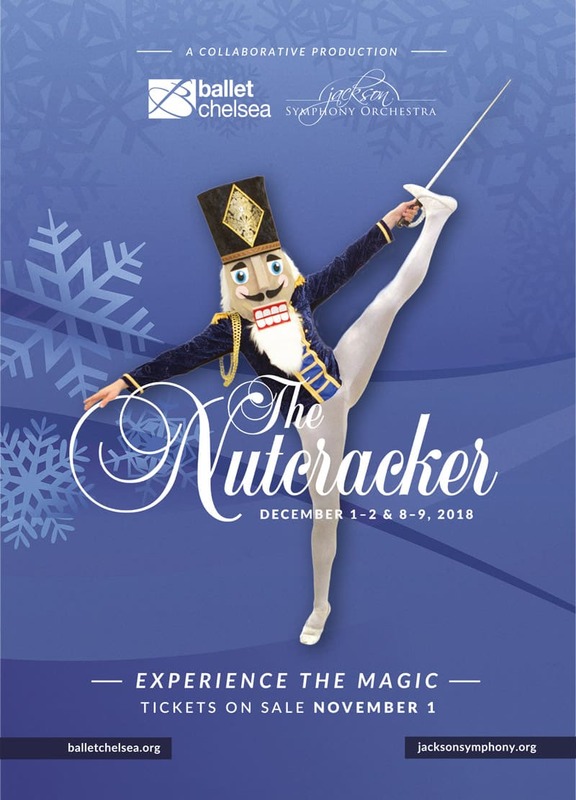 Ballet Chelsea and the Jackson Symphony Orchestra are pleased to join forces to present Ballet Chelsea's 21st annual performance of The Nutcracker on December 1-2 (Chelsea, Michigan) and December 8-9 (Jackson, Michigan). 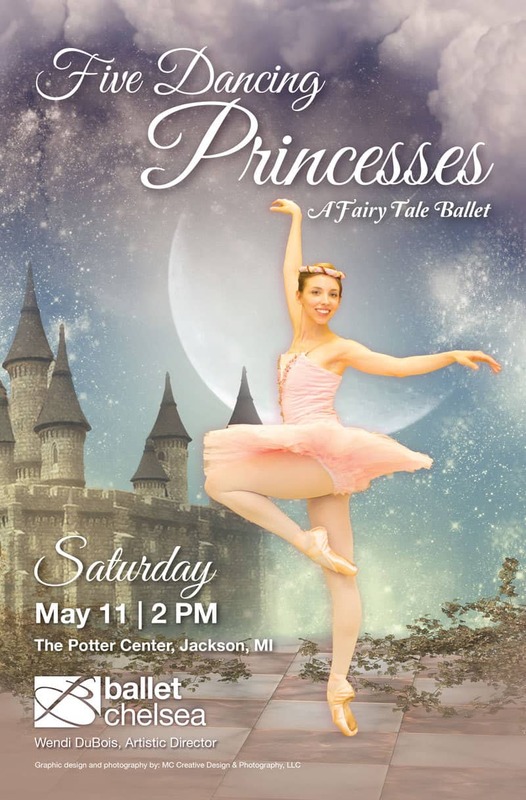 The annual production is a full-length, narrated ballet, choreographed by Ballet Chelsea Artistic Director Wendi DuBois and will feature a live symphony orchestra. Audiences young and old from all over southern Michigan return year after year for this family friendly holiday favorite. From Christmas Eve festivities at the Stahlbaum's, complete with godfather Drosselmeier and his charming mechanical dolls, to a fierce midnight battle, and on to the enchanged Kingdom of Sweets, Ballet's Chelsea's dancers captivate audiences with their energy and artistry.